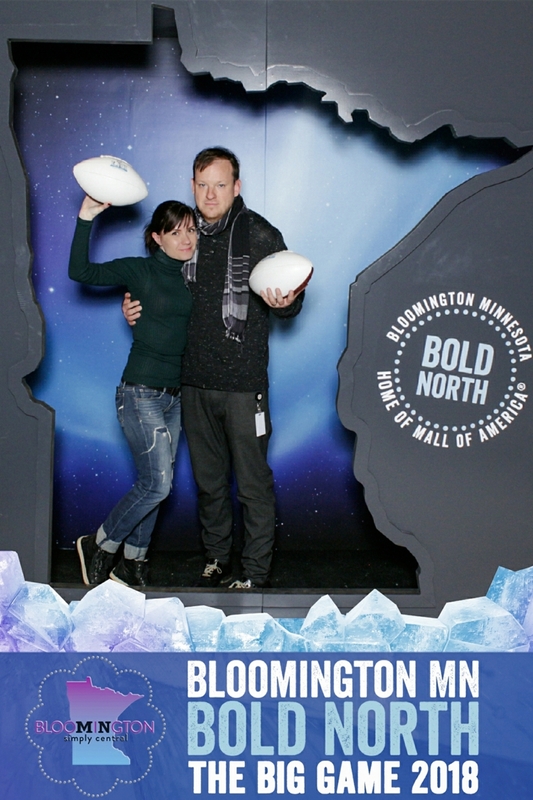 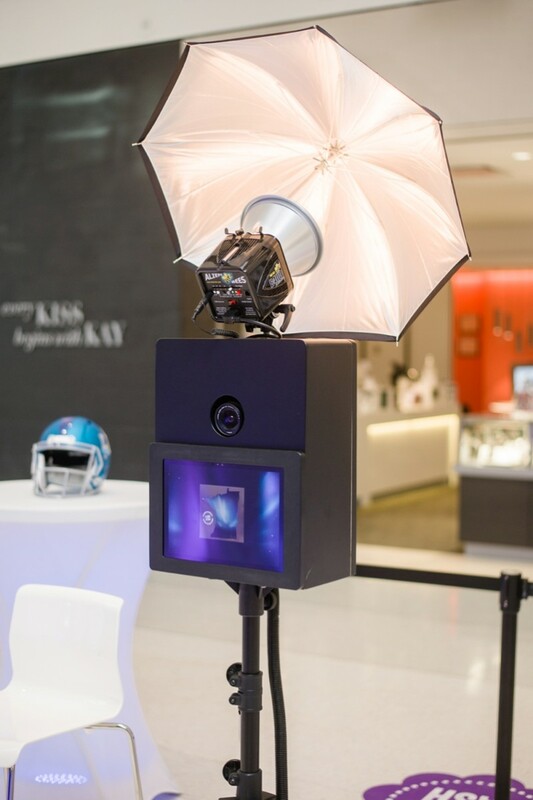 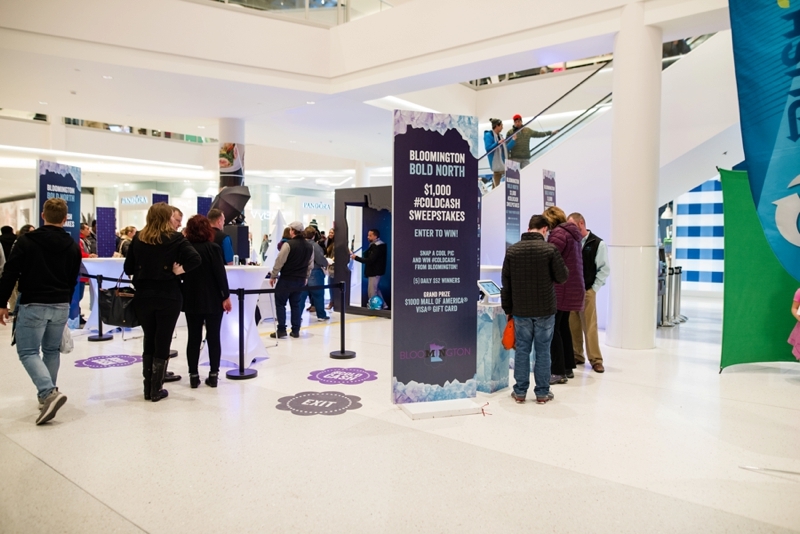 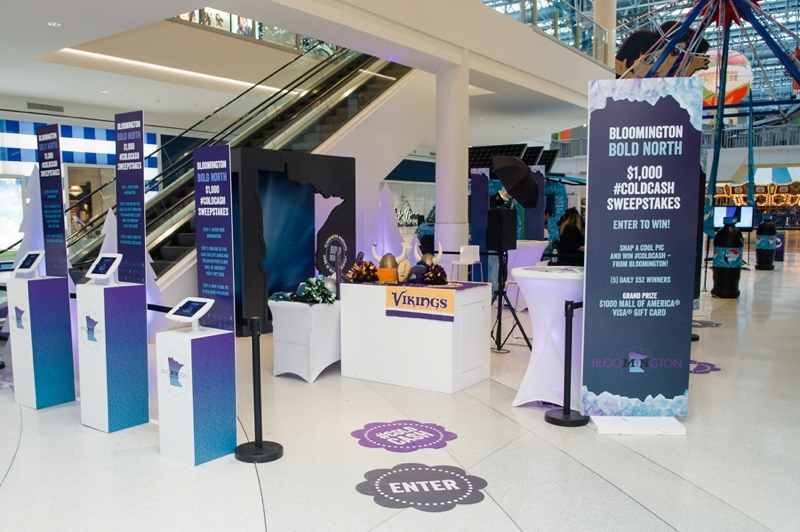 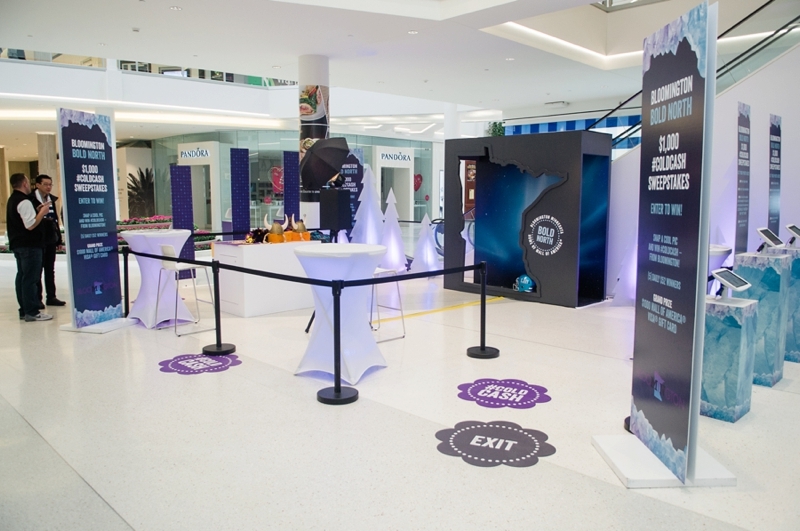 With all of the Super Bowl related events happening in the Twin Cities, this activation at the Mall of America in collaboration with Bloomington Convention & Visitors Bureau was one of our biggest! 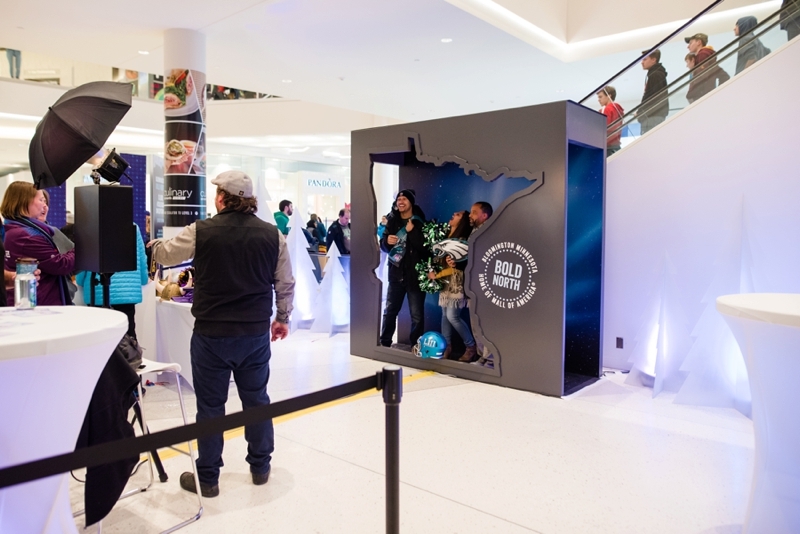 Our client’s goal was to capture data and include a fun photo op; with our photo booth it was not only easy, but also a fun and a unique way to remember Minnesota! 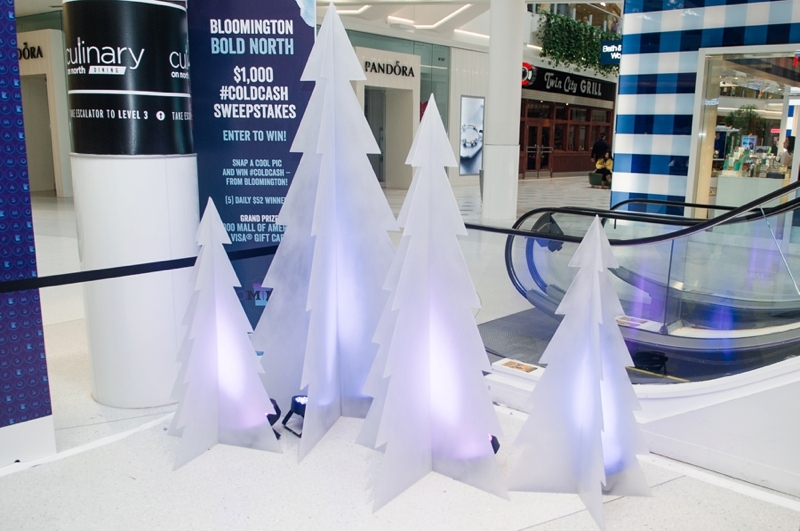 For the backdrop, we worked with metroConnections and built a Minnesota state cut out, added a few modern, laser cut pine trees and tied the entire scene together. 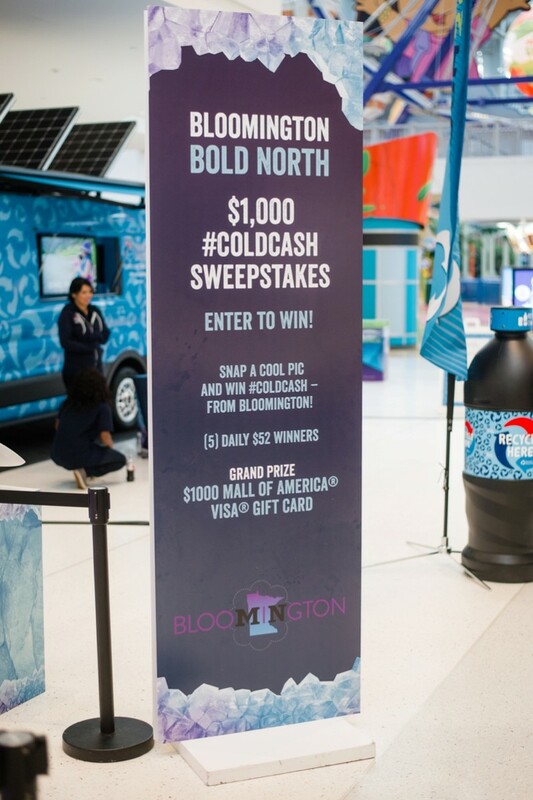 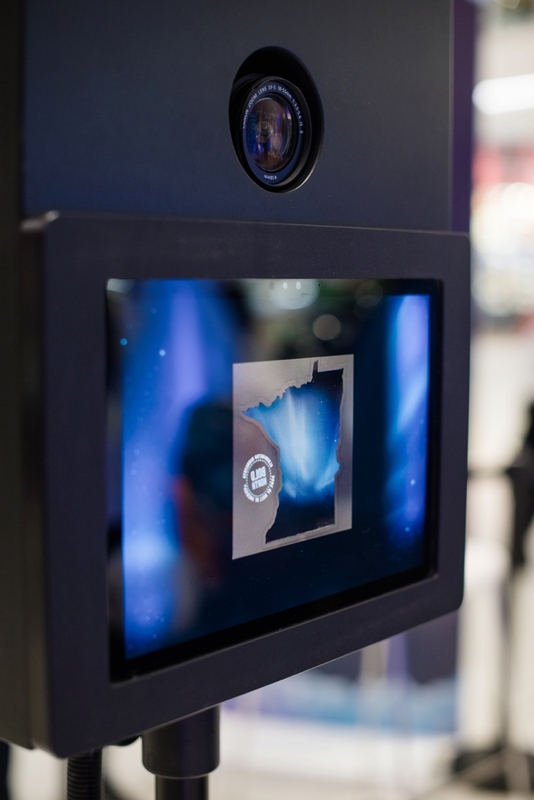 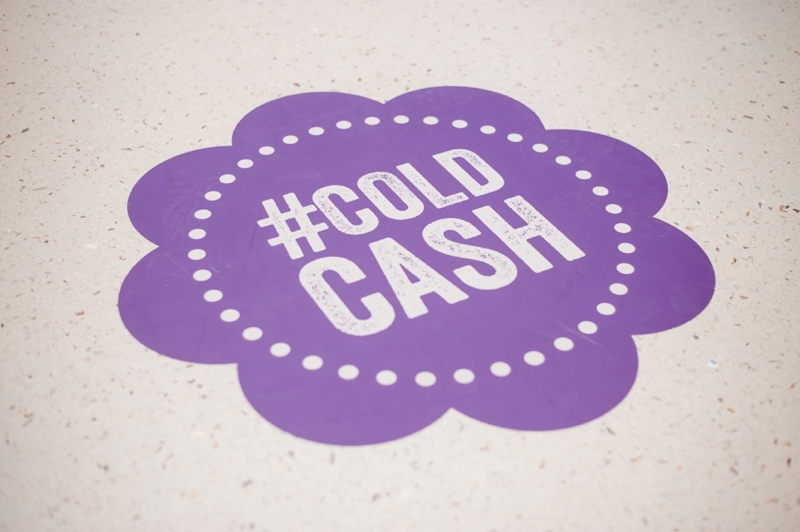 The sharing kiosks, tables and screen graphics were also Bold North branded, complimenting the Super Bowl 52 theme perfectly. 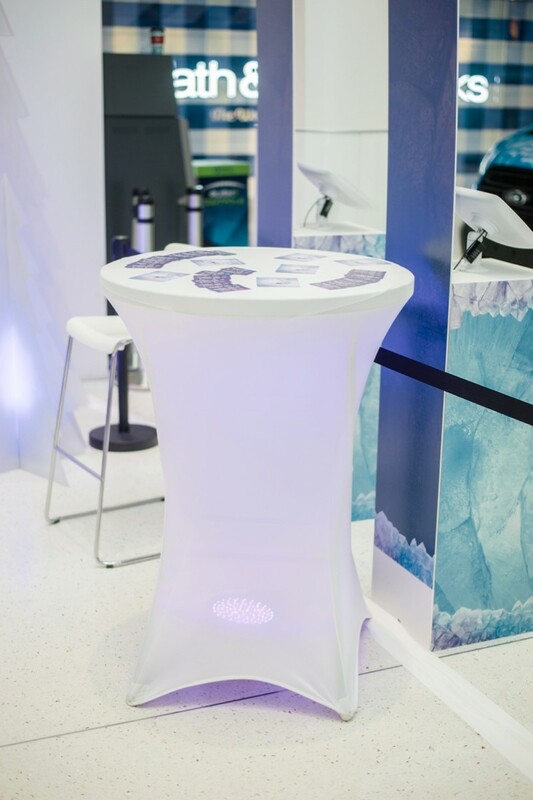 With a beautifully designed concept, data capture was easy as guests were not reluctant to send their information when they were part of a fun and unique experience. 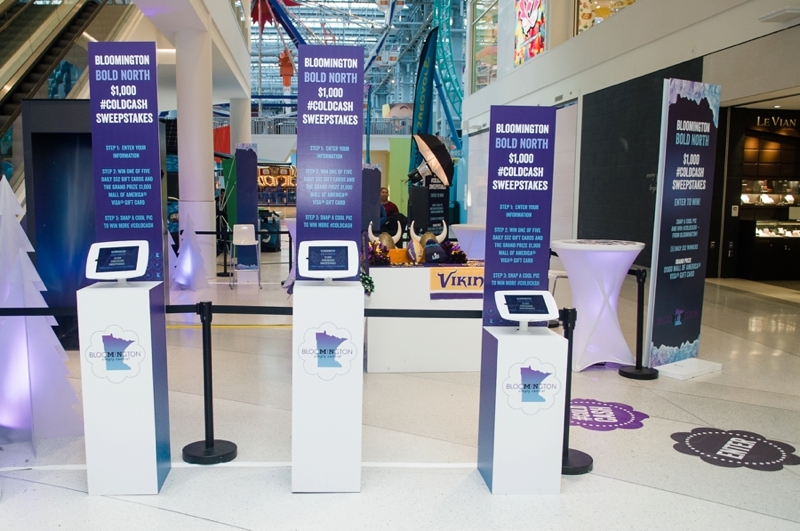 Over the course of a week, we captured over 10,000 email addresses! 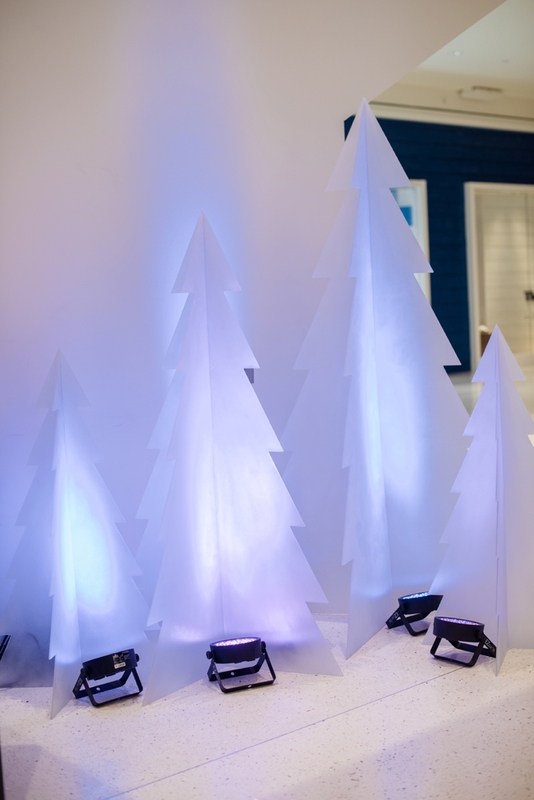 And what’s also great? 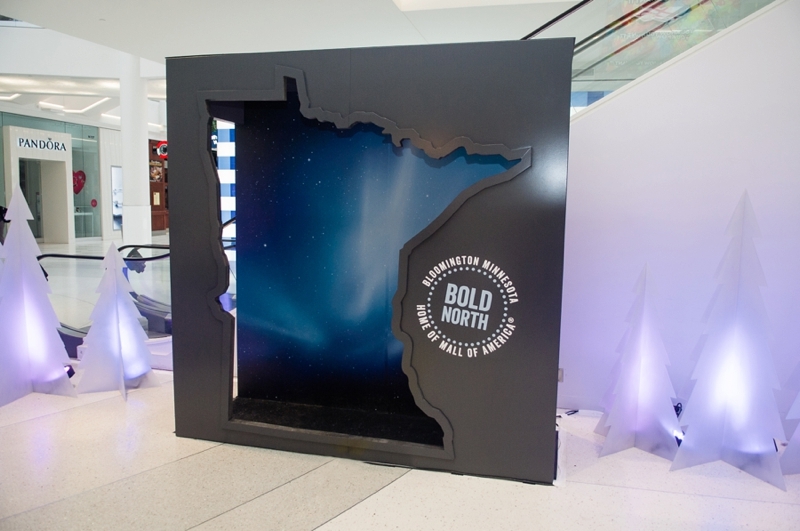 This Minnesota shaped frame is available for rent for future events and can be branded and customized to your event!